First plants may be booming sooner than expected. 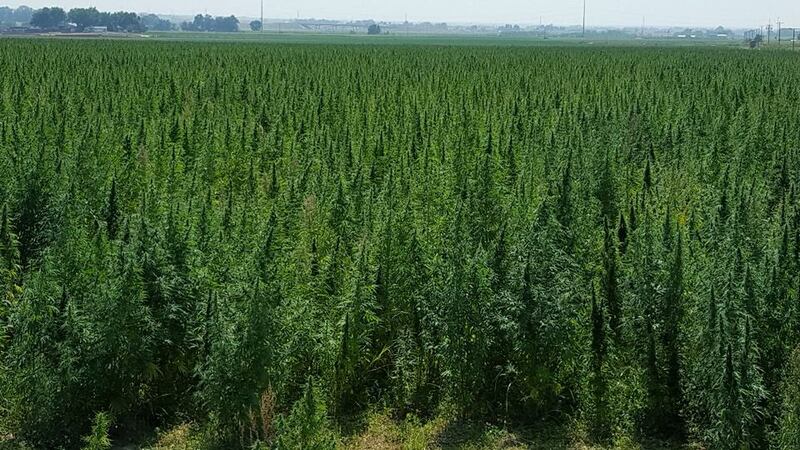 PHOENIX — Hemp is on the horizon for Arizona, and now thanks to a bill that is being fast-tracked through the state legislature, the first seeds could be in the ground by early June, instead of August. Arizona State Senator Sonny Borrelli introduced Senate Bill 1003, which is an emergency measure that would require the Arizona Department of Agriculture to set up the rules, regulations, and licensing procedures for growing hemp in the state by May 31, 2019. Borrelli called hemp a potential "cash crop" for the state of Arizona, and introduced the bill so farmers could get their first crop in this year. August would be too late to plant hemp, said Borrelli. Right now, Arizona is lagging behind when it comes to hemp; 25 states are already growing industrial hemp, with production topping 78,000 acres in 2018. Montana and Colorado were the top producers of hemp, while states like Kentucky, Indiana, and West Virginia that formerly grew tobacco were now turning to hemp to replace their profits. The passage of the U.S. farm bill has sped up the process for Arizona to implement the rules and regulations necessary to give farmers the green light to start growing the crop. Recent economic studies done by the Brightfield Group show the hemp industry could top $20 billion by 2022. In Arizona, Borrelli has been one of the elected officials who has been dedicated to making this crop a reality for the agriculture industry. "It is rope not dope," said State Senator Borrelli. It's a catch phrase he has been using to erase stigma surrounding the crop that is under the cannabis family, and is a cousin of marijuana. Unlike marijuana though, hemp has very trace amounts of THC, the substance that causes the "high". Industrial hemp crops could have no more than 0.3 percent THC to qualify as legal. "There is not enough THC in hemp to get anybody intoxicated. Like I keep telling everybody, expecting to get high on hemp is expecting to get drunk on a case of O'Doul's. It's almost impossible," said Borrelli. 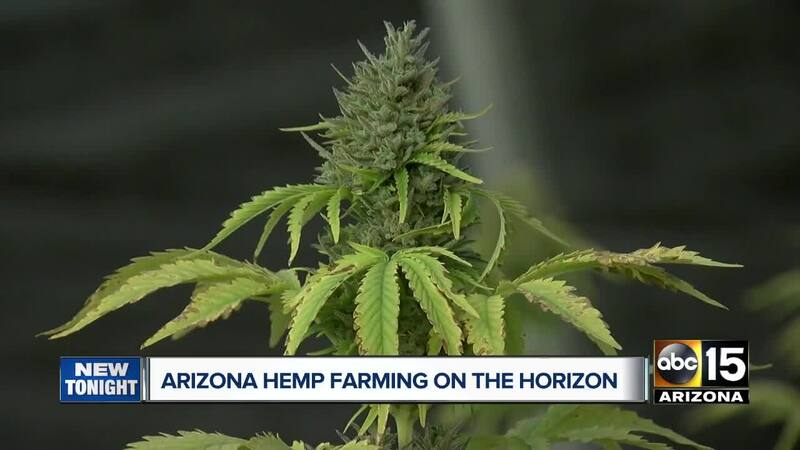 Chelsea McGuire, director of government relations for the Arizona Farm Bureau, described the Arizona climate as being perfectly suited to grow a crop like hemp. "Hemp has a huge potential in this state. It's a crop that we believe is going to be very water tolerant, it's a crop that's going to thrive in our desert climate," said McGuire. Farmers have estimated hemp requires a third of the water to grow compared to a crop like cotton. An experienced hemp farmer from Oregon told ABC15 that you could get up to four cuttings of the hemp crop a year if you knew what you were doing. Farm bureau officials and lawmakers behind the bill are also excited about the fact that there was already an established market for all things "hemp". From textiles, to paper, building materials and car parts, many industries worldwide are replacing plastic, wood, and fossil fuels like coal and petroleum with the sturdy industrial crop. The Arizona Department of Agriculture is currently working to set up the rules and licensing for those who want to grow hemp. Growers would have to apply for a license issued by the state, and because there is a potential for the crop to be "hot" or have THC levels that are higher than 0.3 percent, growers would have to make sure the product is tested at many levels, otherwise they could be found guilty of growing marijuana. "Yeah, if they get caught growing marijuana, they could lose their crop and their license and they could be in big trouble," said Borrelli. Farmers in other states said they test their crops regularly, and those who were well educated about the strains they were growing could prevent that from happening.